Find out if Computerquote Pet Insurance made it into our list of the top 10 pet insurance providers for dogs. What types of pet insurance does Computerquote offer? Does Computerquote pet insurance cover dental treatment? Does Computerquote pet insurance covers pre-existing medical conditions? How much does pet insurance from Computerquote cost? Are discounts available for Computerquote pet insurance? How to make a claim on Computerquote pet insurance? Computerquote offers four types of pet insurance cover: Value Accident Cover, Standard Cover, Classic Cover and Ultimate Cover. All four polices are Time-Limited (find out what that means, check out our pet insurance FAQs). This policy offers £2,000 per condition per year for vet bills (£55 excess per condition applies). It also includes £300 for complementary medicine, £500 for cruciate ligament, £500 for CT/MRI scans and associated costs, £2,000 for dentistry work as a result of an accident or injury, £1m for third party liability (dogs only, £250 excess fee applies) and up to £500 for death of pet from accident. This policy offers £3,000 per condition per year for vet bills (£55 excess per condition per year applies). It also includes £300 for complementary medicine, £3,000 for cruciate ligament, £100 for special diet, £750 for CT/MRI scans and associated costs, £3,000 for dentistry work as a result of an accident or injury, £300 for emergency boarding, £250 for holiday cancellation, £500 for loss by theft of straying, £250 for advertising and reward, £2,000 for overseas travel, £1m for third party liability (dogs only, £250 excess fee applies) and up to £500 for death of pet. It also includes £300 for complementary medicine, £3,000 for cruciate ligament, £100 for special diet, £750 for CT/MRI scans and associated costs, £3,000 for dentistry work as a result of an accident or injury, £450 for emergency boarding, £500 for holiday cancellation, £750 for loss by theft of straying, £400 for advertising and reward, £125 for accidental damage, £125 for personal accident, £2,000 for overseas travel, £1.5m for third party liability (dogs only, £250 excess fee applies) and up to £750 for death of pet. This policy offers £5,000 per condition per year for vet bills (£55 excess per condition per year applies). It also includes £500 for complementary medicine, £5,000 for cruciate ligament, £100 for special diet, £1,250 for CT/MRI scans and associated costs, £5,000 for dentistry work as a result of an accident or injury, £600 for emergency boarding, £750 for holiday cancellation, £1,000 for loss by theft of straying, £500 for advertising and reward, £250 for accidental damage, £250 for personal accident, £2,000 for overseas travel, £2m for third party liability (dogs only, £250 excess fee applies) and up to £1,000 for death of pet. Computerquote's cover is available for pets from eight weeks old and it has with no upper age limit (but a co-payment is required for pets older than 8 years old). See how Computerquote compares to other providers in our list of the best pet insurance companies. Yes. All four Computerquote pet insurance policies include cover for dental work as a result of an accident or injury. Dental treatment as a result of an illness is not included with any of the policy options. No. You can still cover your pet with Computerquote if it has pre-existing conditions, but any illness, injury or symptoms your pet had before the start of the policy will not be covered. How much does Computerquote pet insurance cost? The cost of pet insurance is affected by many different factors, such as the type and breed of pet, the pet’s age and medical conditions, and the owner’s postcode. However, according to the Computerquote website, their cover starts at £4.37 per month for cats and £6.87 per month for dogs. Customers may be able to pay their premiums in monthly instalments at no extra cost, depending on status. TopCashBack is offering £10.50-£19.50 cashback for customers purchasing Computerquote pet insurance through the TopCashBack website. Cashback is also available on the site for other Computerquote insurance products. On Reviews.co.uk, Computerquote as a company has 3.5 out of 5 stars, based on 86 reviews. 63% of customers who left reviews would recommend the company. Independent financial researcher Defaqto rated Computerquote’s Ultimate Insurance policy as 4 Star, its Classic and Standard policies as 3 Star and the company’s Value Accident policy as 2 Star (rating is for Cat Insurance. No rating was available for Dog Insurance). A 4 Star rated policy has “has a good level of features and benefits”, a 3 Star rated policy “has an average level of features and benefits” and a 2 Star rated policy has “a below average range of features and benefits”. Step 1: Take your pet to the vet to be treated. Step 2: Request a claim form online or by calling Computerquote’s claim line on 0330 102 5745. Step 3: Fill in the appropriate sections, sign and date the form. Step 4: Ask your vet to fill in section 2 of the form and sign it. Step 6: Computerquote will process the claim and pay either you or your vet directly. Computerquote’s website does not state how long this usually takes, but you can track your claim online. If you require any further assistance, you can contact Computerquote’s customer helpline on 023 9262 7319. Lines are open 8am-9pm Monday-Friday and 9am-2pm Saturday. Computerquote offer a wide range of insurance products, including home, van, car, motorcycle, travel, life and business insurance. The company also has an advice centre with guides to motor, home, pet and travel and lifestyle insurance. Bought By Many has launched its own unique pet insurance policies. 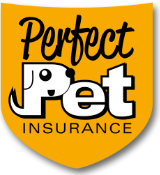 Get a quote by joining our pet insurance group.